Founders of G&S English, Darrel from the USA and Gavin from the UK welcome you to our unique English schools, where learning and enjoying English perfectly combine. 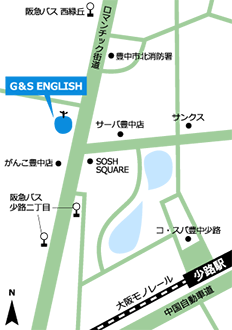 Our Toyonaka School has been open since 2012 on ロマンチック 街道　in Mukuogaoka, Toyonaka. Here you will learn from our dedicated foreign teachers, teaching in International preschool, after classes and private and business lessons. Our teachers come from all over the world, giving you the chance to learn native English with a variety of a pronunciations and colloquial dialects. Our child-care licensed Japanese assistants are bilingual to help communicate with the children and parents. G&S Secretaries are also bilingual and are willing to take your calls, handle enquiries and schedule trial lessons or talk to you whenever you would like to visit. 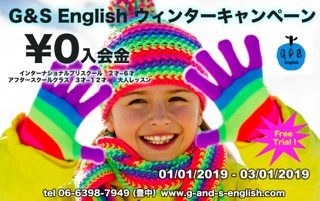 We look forward to seeing you at our Toyonaka school soon! 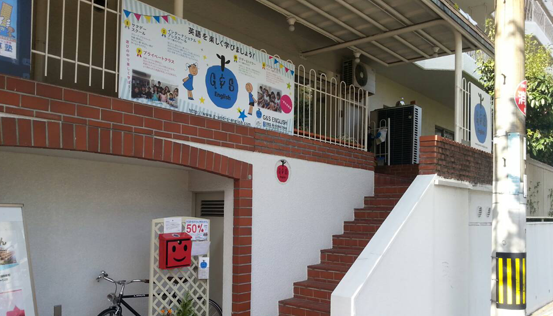 Our Toyonaka School has been open since 2012 on ロマンチック 街道　in Mukougaoka, Toyonaka. G&S Secretaries are also bilingual, and are willing to take your calls, handle enquiries and schedule trial lessons or talk to you whenever you would like to visit.